The Savior Clamp has unique, articulating jaws that can fit firmly onto any oddly shaped object. Whether mounting on round, square, or flat objects, the peak-and-valley design of the jaw allows for multiple points of contact, ensuring a strong grip every time. 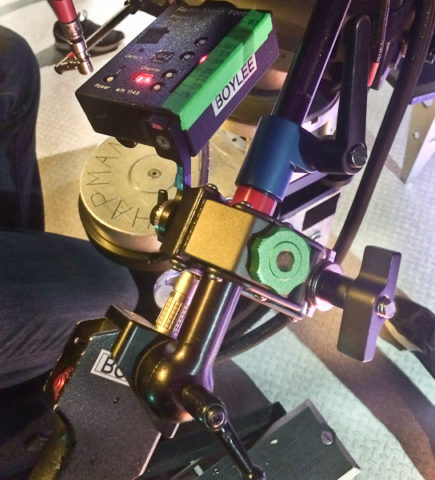 “The Savior Clamp is a very versatile tool for today’s Film Maker/ Photographer. The unique, articulating jaws of extruded 6061 aluminum are capable of clamping onto several shapes and sizes with precise clamping strength. The protected jaw pads are made from an extruded compound and thermally bonded to the jaws. 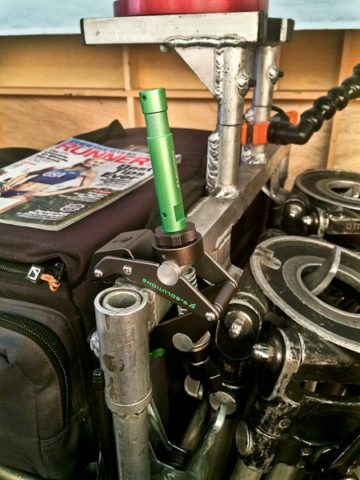 The patented jaw shape easily clamps to round objects like 3/8″ rod, 5/8″ rod, 1 ¼”, 1 ½ , and 2″ pipe. This clamp has very wide and deep jaws to clamp onto objects in many different ways.